Looking for a unique and easy content idea for your blog or newsletter? 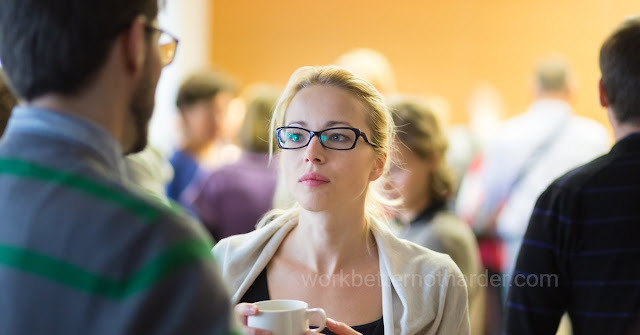 It will even improve your networking at the next event you attend. The results will be useful to you in understanding your market. The results will be interesting to your readers, and perhaps be useful to them, as well. The question is simple and can be articulated easily in a networking setting. The possible answers are easy to record so you can tally them up later. I might ask, "How often do you send out a regular email newsletter?" My article might be something like: 45% of Small Business Owners Surveyed Don't Send Out Newsletters, with the results of the research (and how it was gathered) within. A clothing store owner might ask, "How often do you order clothes online?" Her article might be: More People are Ordering Clothes Online But Are They Happy About It? Of course, these are also segues into engaging conversations at a networking event! This piece of content will be completely unique to you and will also start interesting conversations online. Let's have a chat and do a little research together at the next networking event!